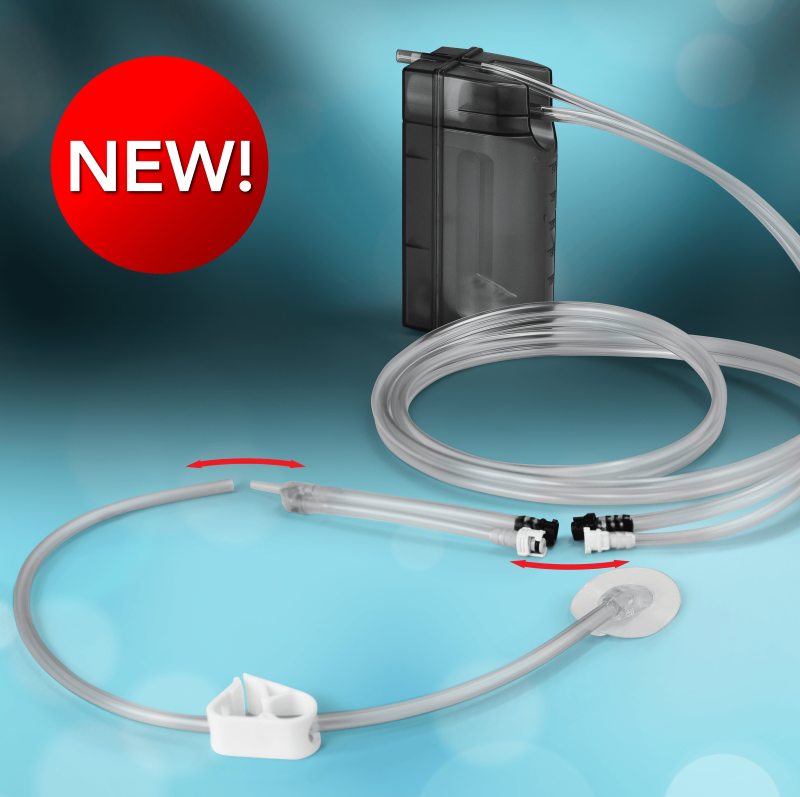 The New Mini-StingRay Adaptor enables you to use your regular advanced (two connection) canisters and attach them to our one-tubed mini-StingRay. This innovative and inexpensive adaptor allows you to treat smaller or harder to reach wounds, without having to stock two sets of inventories of kits and canisters. In a flash, you now can treat smaller wounds without having to go back to the “shop” to get more supplies, saving you time and eliminating the wait to start therapy. If you have any questions, please do not hesitate to call your local Pensar Medical sales rep or give us a call at 800-669-4757.